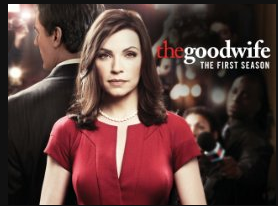 Early this year, I got hooked onto the series “the good wife” on Amazon Prime. It was crazy - more like an addiction. I finished the entire 7 seasons in around 45 days. Whenever I got little time, I would watch an episode. Sometimes, I would put my daughter to sleep and stay back late night to watch 2-3 episodes. No doubt, it was an excellent series, atleast for the first 5 seasons. The series had many cliff-hangers that persuade you to proceed to the next episode effortlessly. But at the end of it, I felt so stupid for wasting too much time and sacrificing my precious sleep. Each episode is around 45 minutes. Each season had around 22 episodes. So for 7 seasons, the total time I had spent is around 6930 minutes or 116 hours. This experience made me realize the power of such addictive series. It is easy to argue that one should have self-control and not over-indulge. But these series are designed to keep you hooked. No-ads is an added advantage. I don’t have a Netflix subscription yet. Though I know there are some interesting documentaries and movies in Netflix, I cannot let technology invade my sleep hours. The fact that Netflix founder openly stating “sleep is our competition”, it is imperative that we are conscious of the time we spend on such addictive series. New terms like “binge-watching” and “binge-racing” are targeting our time, attention and our minds. What are those things we did earlier to relax and unwind? Now, many of us settle down with dinner plates in front of Netflix after we reach home. I haven’t watched “Game of Thrones”, “Stranger things” or other popular series. So I don’t know about the addictive nature of their story plot. It is fine to seek such entertainment, as long as we are conscious of the time we spend and not allow such series come in the way of the numerous other things we could do. Good sleep is one of the most essential factors for good health and well-being. Nothing is worth sacrificing your sleep - be it work or entertainment. The battle for attention is going on and only the strong willed would survive.